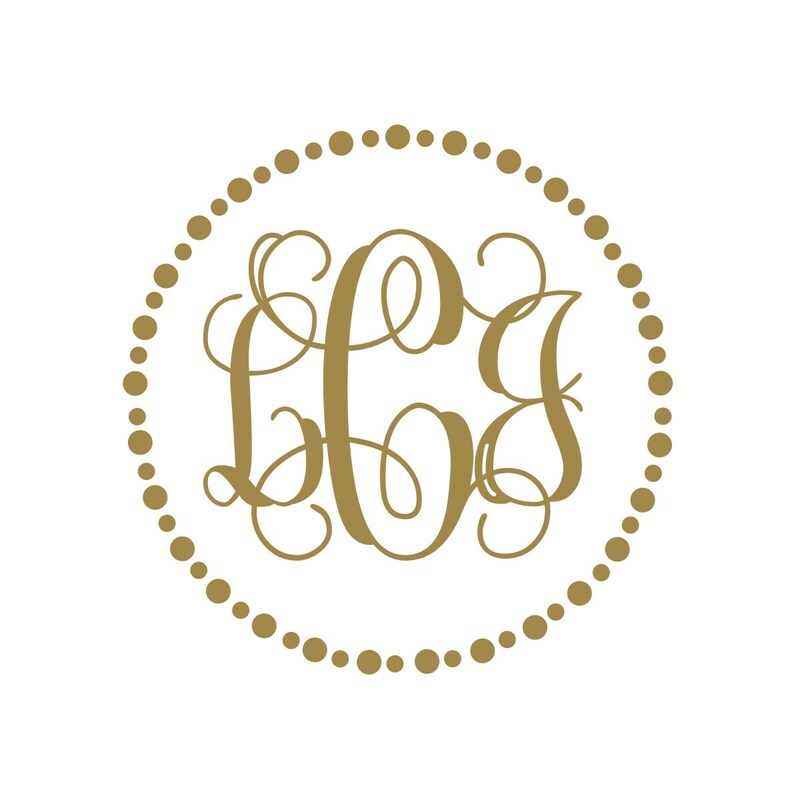 Metallic Gold Dots are super popular and the vine font monogram is a fabulous enclosed in a polka dot circle border. 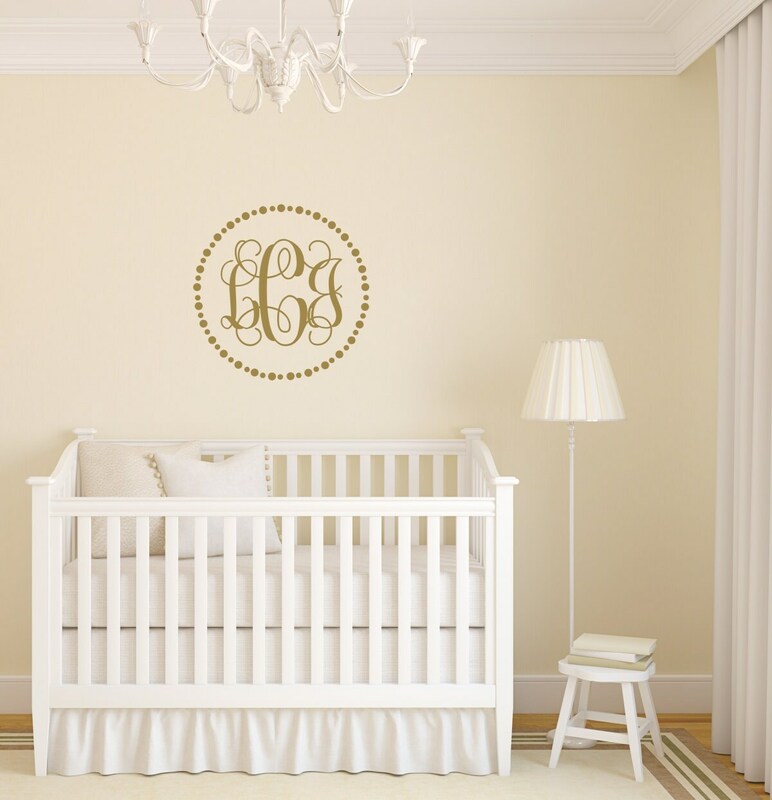 Love, love, love the gold metallic. 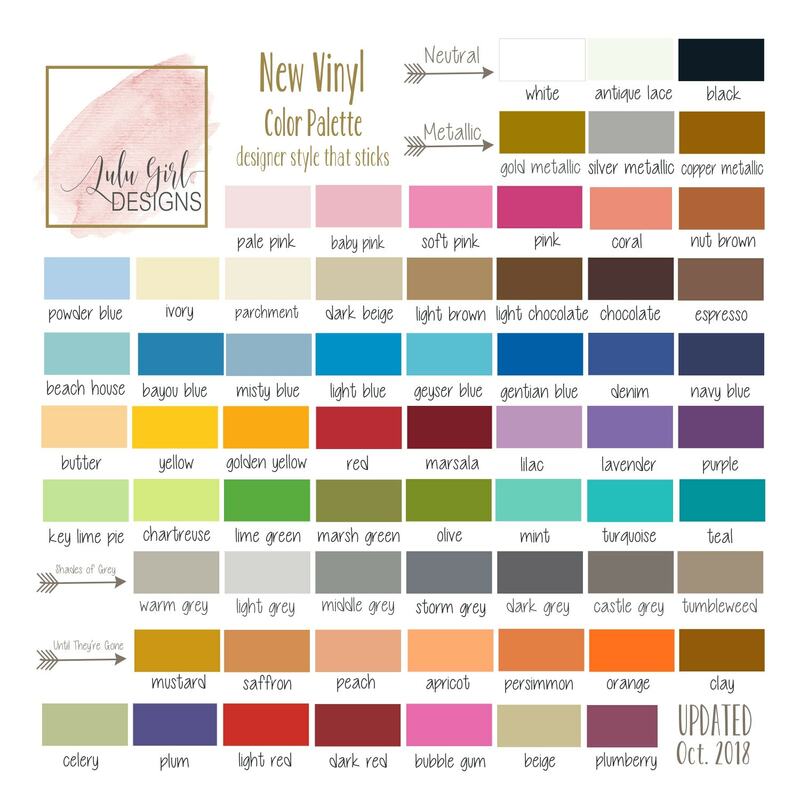 Vinyl wall decals are the easy and affordable way to add designer style to your wall. 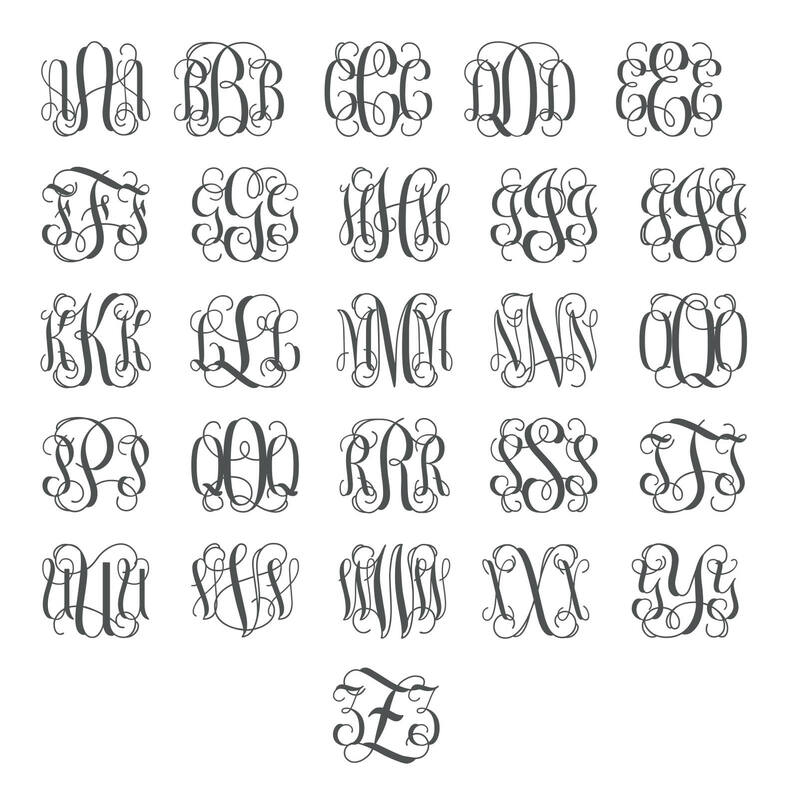 This monogram looks hand painted once applied to the wall. 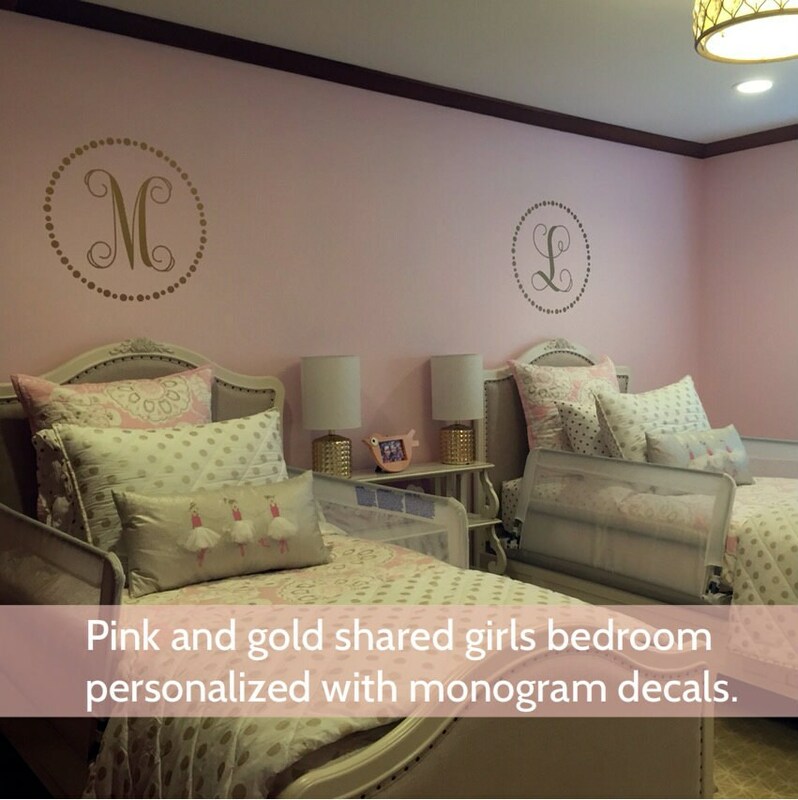 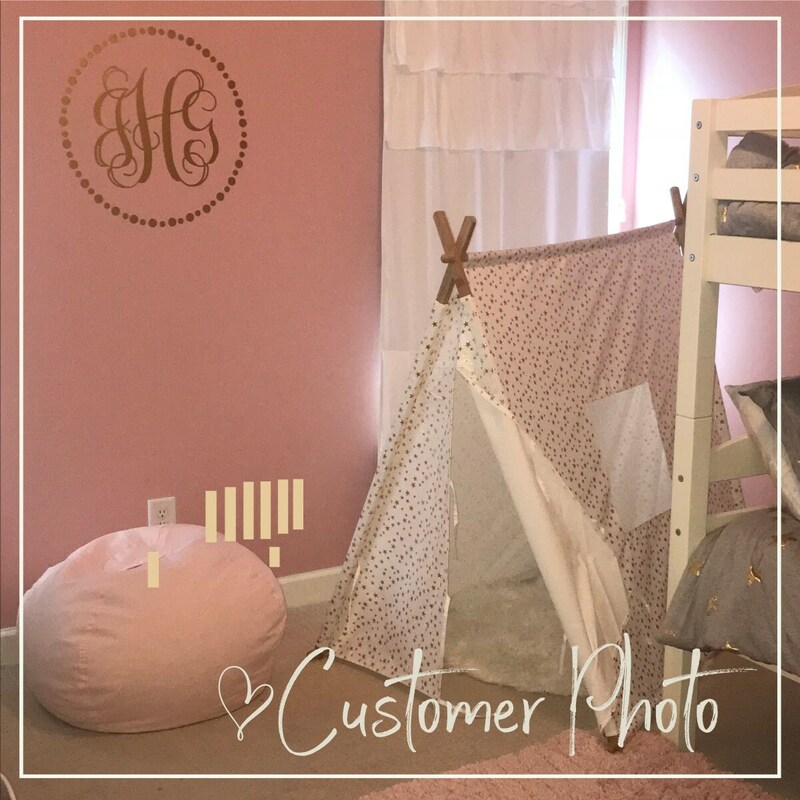 A huge thank you to Rosie D. in NY for sending me a picture of her daughters gorgeous pink and gold shared girls bedroom personalized with matching monogram decals.